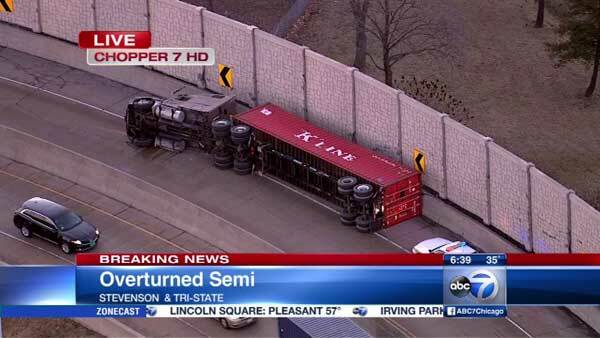 CHICAGO (WLS) -- An overturned semi closed the ramp from the inbound Stevenson Expressway to the northbound Tri-State Tollway. The semi leaked diesel fuel after it overturned around 6 a.m. Monday. Maintenance crews had to sand down the pavement before they could upright the truck and move it off the ramp. The closure is causing heavy delays from I-355 to Lake Shore Drive.